Maybelline is a really great drugstore brand, but in all honestly their eyeshadows have always left something to be desired. Until now. A few months ago they released some super-affordable singles shadows, which I still haven't posted on here, and now they have released a collection of seven miniature palettes called the Maybelline The City Mini Eyeshadow Palettes. Each of these palettes features six carefully curated shades that are supposed to mesh perfectly together. Inspired by iconic NYC moments, this collection is really fun and on-trend. I personally can't wait to get my hands on the most colorful palettes soon and have started off my reviews with the most neutral ones because I think they are the most universally flattering for all skin tones. Last night I purchased two of these palettes at my local Walmart for $7.95 a piece. You can also find this palette on Ulta.com for $9.99 a piece and they are currently doing a BOGO 50% off sale on Maybelline. Don't forget that you can use the $3.50 off $15 Ulta coupon for this purchase! This is the Maybelline The City Mini Eyeshadow Palette in Rooftop Bronzes, which I imagine will be hands-down the most popular of these mini eyeshadow palettes. Rooftop Bronzes is filled with bronze, golden and coppery shades that really do go very well together. I can definitely see these shades being turned into a gorgeous metallic bronzy eye look filled with a touch of golden shimmer. FYI: These are one-swipe swatches. 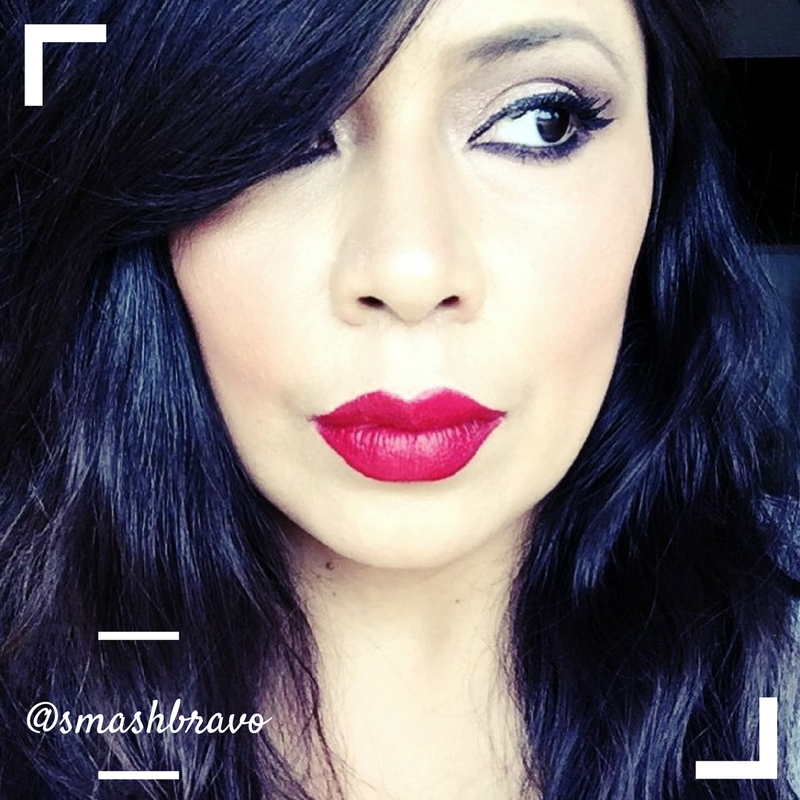 Rooftop Bronzes is definitely a winner, these shadows are super buttery, pigmented and they have a beautiful finish. 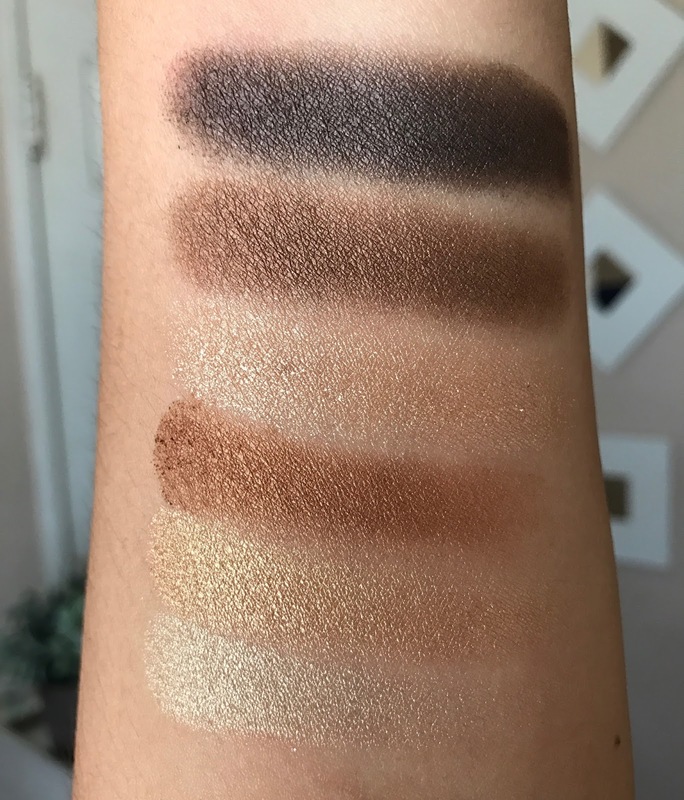 You have three more metallic shades (bottom 3), one shimmery shade that is stunning and two other shades that are less metallic but have really great pigmentation. 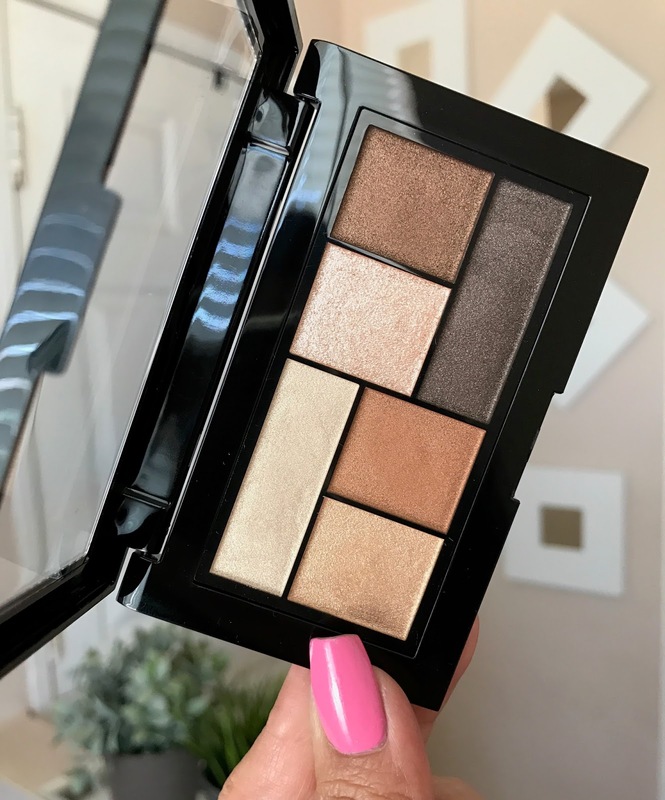 The three more metallic shades are the standouts in this palette because their formula is just so buttery, pigmented and the finish is beautiful. Meanwhile the champagne shade which is more shimmery and glittery is a little chunky but it has the most beautiful finish, so while I think that one might have some fall-out, it's gorgeous. 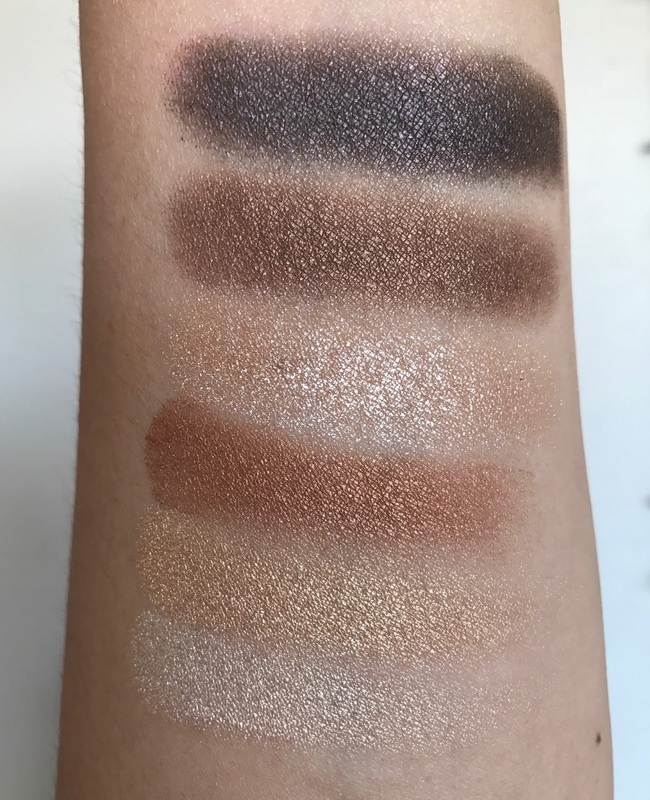 This is a swatch only post as I have not tried the Maybelline City Mini Eyeshadow Palette in Rooftop Bronzes yet on my eyes. But I knew you would want swatches asap. 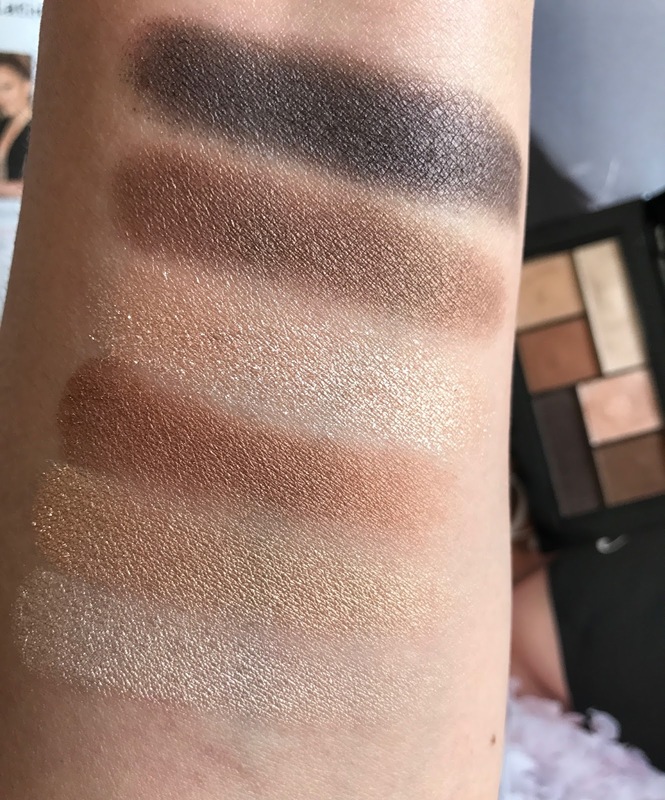 I think, just based of how these shadows swatch, that this is a really good palette. Is it worth $7.99-$9.99? If you're going to put it to good use, then yes I do believe it is. Sure it's a mini-palette, but how often do you finish an entire eyeshadow or palette? Of course, I would suggest looking for a deal at Walgreens, CVS or Ulta so you can pay less and really make it worth while. Stay tuned for the next Maybelline The City Mini Eyeshadow Palette swatch post coming soon! 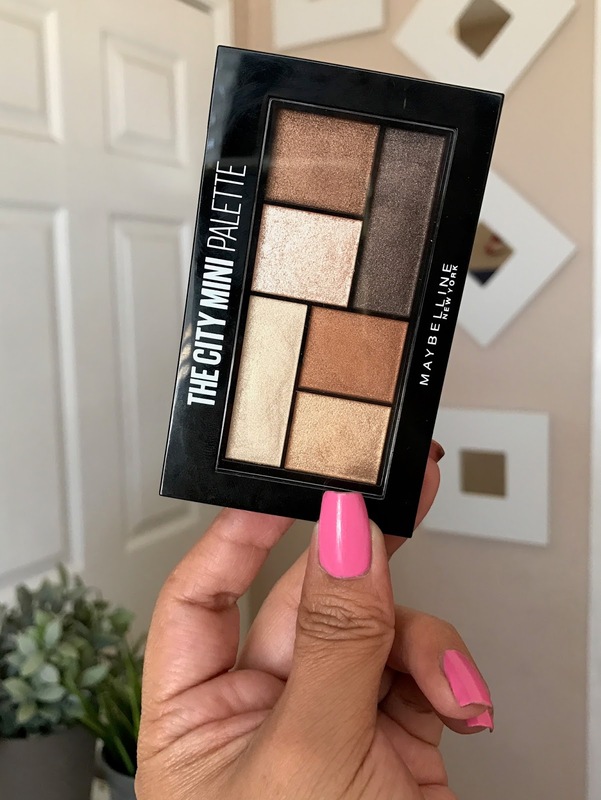 Find the Maybelline The City Mini Eyeshadow Palettes at Ulta and Walgreens where they currently have a clippable coupon that makes this only $6.99.